july 30, 2018 – happy birthday, emily brontë! here’s to 200 years of putting the “wonder” in “one hit wonder!” emily brontë may have only written one book, but what a book, yeah? wuthering heights has been one of my all time favorites since i devoured it at the romantically impressionable age of fifteen, and i’m always down to give a WH retelling a chance, no matter how bananas its premise. the following is not a list of books i have personally read, although i have indeed read some of them. and i’m not necessarily vouching for the ones i have read; this is just an objective resource i have put together for people who may want to celebrate july by reading a stack of books about emily brontë and marveling at her lasting and…diverse contribution to the world of literature. however, it is a thoughtfully curated list – researched for quality, organized for variety. 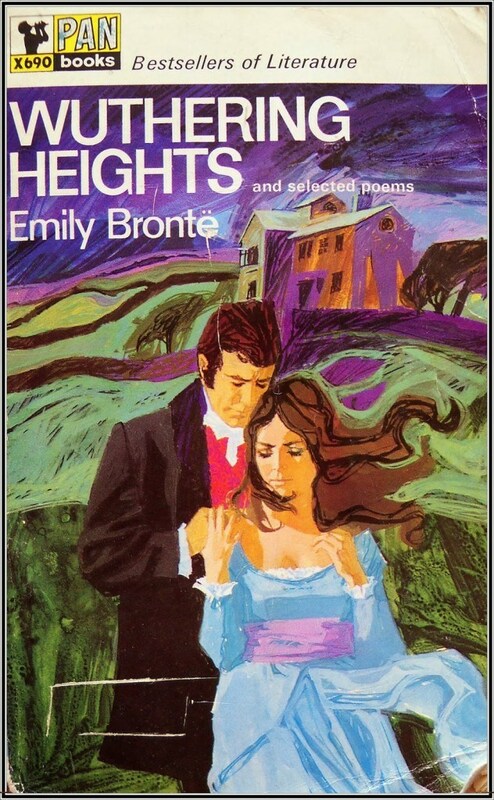 to that end, ta-DAAA – fiction, nonfiction, graphic novels, picture books, fantasy, YA, erotica – books inspired by wuthering heights, lit crit dissecting it, and biographies or novels about emily herself. it’s meant to be representative without being exhaustive, but if there are any books i’ve omitted that are not to be missed, let me know, ‘cuz i’m always looking for more ways to wuther! I Am Heathcliff - Kate Mosse, ed. I want to read the one with Bogart as Heathcliff on the cover. I must say I only read Wuthering Heights once but it struck me as very Jerry Springer. It’s a book that I need to read again.